Ok, so it doesn't take a meteorologist to tell us that our "Spring" weather has had some issues with deciding what it wants to do. Every Spring it seems that the weather seems to change daily, but this year I think we can all agree that there are days when it changes hourly! Despite the polar opposite weather that seems to occur daily here, things are heating up at Renegade. We have new items arriving daily to give you that perfect Spring look. Now when I say Spring look, that could mean anything from hoodies or vests to shorts and capris now a days. Whatever the weather, Renegade has you covered! Renegade has the merchandise to create the perfect look for your entire family. Even though this post is directed towards the ladies, we have it all! There are so many unique looks that we can help you create. Just stop in at Renegade today and let one of our friendly, knowledgeable sales associates help you create your perfect look for Spring! Can't make it in? Don't worry. Renegade offers shopping 24/7 from the convenience of your home or cell phone. Just shop online with us at www.RenegadeStores.com. Renegade would like to wish you and yours a very Merry and Blessed Christmas. We would also like to take a moment to say "Thank You" for being you, the best customers around. 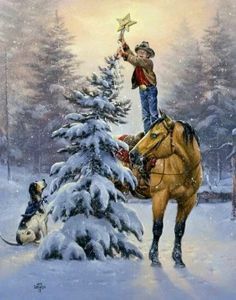 So here's to the true meaning of the Season and to all of you....Merry Christmas! The days to finish Christmas shopping is winding down quick. And with all the festivities and events that are going on this time of year, it seems like the clock ticks quicker this time of year. Renegade understands that this time of year can be magical and STRESSFUL! Here are some tips to help you check those people off of your list with a little less stress this year. The big man with the bag does so why shouldn't you? A little pre-shopping prep goes a long way to make sure that you don't get home and discover that you forgot to get a gift for someone. List those people that you need to shop for and take it with you. As you get for them, cross them off....simple as that! I'm sure that you are now asking about getting ideas for all of those on your list. Some people just are not good at shopping and coming up with gift ideas. For those of you, Renegade can help. We are here for any questions that you might have about products or even to give you ideas for those special ones on your list. We have really seen a trend of buying useful gifts. What could be better than giving/getting a gift that someone can wear or use? We have gifts for every budget. Still not sure? Renegade has gift cards in any amount ready for you to pick up and give....at least we know that gift fits! Literally, don't sweat it if what you are buying could be the wrong size! We are here to help you year round, not just at Christmas time. Renegade's return and exchange policy is simple and convenient for our customers. So if you are not buying that coat, vest, pair of jeans, or pair of boots because you are unsure of the size, stop it! We have you covered. 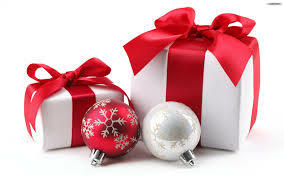 We also have gift receipts available for you to make it easier if you wish. Take a breath and remember that the gifts really aren't what the season is all about. Renegade understands this as well. Take a moment and take in the scenery and sights of the Holidays while you are out and about. You might even find some of that Christmas magic that seemed to have disappeared in the mist of the stress. Renegade is open extended hours this time of year so you are able to shop around those events and festivities. Remember to check your list twice this Christmas and to let Renegade help you do it. We are here for you and able to answer any questions that you may have. Whether you are visiting us personally in the store or shopping with us online, we are here for you. Let us help ease that Holiday stress so that you can get back to truly enjoying this time of year. There is a reason that Santa loves to shop at Renegade! Now that the shopping is either done or just about done, it's time for the task of getting all of those perfect treasures wrapped and ready to deliver. Renegade thought that we would give you some different ways to wrap your gifts this year. 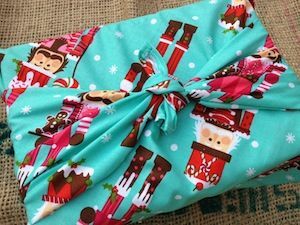 We all like the bright bows and ribbons on fun printed wrapping paper, but did you know that there are some different ways to wrap your gifts that are just as jaw-dropping? Here are a few ideas that we have come up with for you from our own techniques and styles for you this Christmas. Brown paper bags (like your old fashioned lunch bags) are a great, new twist on your typical gift bag. Take your paper bag and decorate however you wish (that's one of the best things about these ideas, there is no right or wrong way!). You can use stickers, markers, paint, stamps, decals....whatever you have laying around the house. We like to put the person receiving the gift's name on the front. Next, you can fold over the top of the bag, yep just like if there was a sack lunch in there. Poke two little holes through the folded down flap, all the way through the back of the bag. Finally, place a piece of twine or ribbon through the holes to keep the gift bag closed. That's it! Simple western wrapping at it's finest. Ok, not literally on this one, but close. Buy a roll or two of, yep you guessed it, butcher paper. Use it to wrap your gifts. You can decorate the paper first if you want to with a poem, stamps, designs, or just leave it plain. The possibilities are endless! Wrap the package up with some twine. Your ready to show off this timeless classic this Christmas. What everyone won't know is how easy it really was! Who doesn't have access to extra newspapers? Use that old news and wrap up your Christmas presents with it. 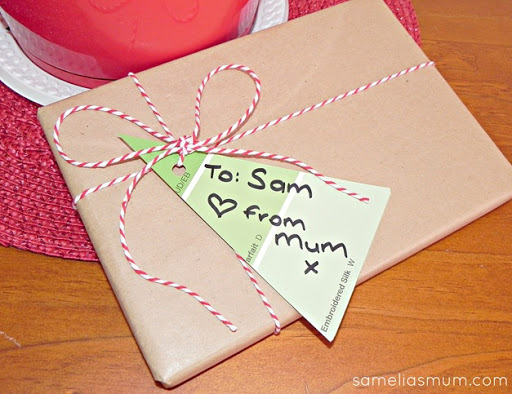 We love doing this fun and easy wrapping paper all year long! For that athlete on your list, use the sports section. For that savory shopper you bought for, use the coupon section, and for those little kiddos use the comics! Finish the look off with bright colored ribbons to add the extra Holiday touch. Recycled elegance is what will happen when you try this. Back in the old days, gifts and packages were mostly wrapped in cloth. Why not do that now? There are so many things that you can use for this look. 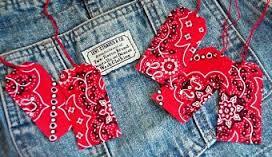 You can use burlap, pieces of fabric, dish towels, cloth diapers, or old denim just to name a few options. Just place your gift in the middle of a chunk of cloth and bring up the corners to the middle and tie them together. Bring back an old fashioned tradition this Christmas and actually be able to reuse the "paper" next year! These are just a few of the options that are out there for you to make your own twist on wrapping this year. Take a look around your house and see just how creative you can be while showing off your style through your wrapping! It's almost Christmas, as hard as that is to believe, and just like you, we are busy with the last minute shopping, baking, and of course wrapping. Now last Christmas, I gave you some "untraditional" ways to wrap those treasures. This year though, I want to show you some ways to get creative while tagging them! Let's start with some very eye-catching but simple ideas. 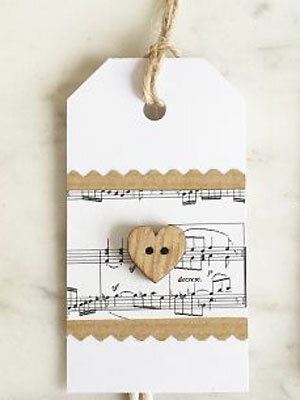 Take the either the pre-bought stock tags or make some of your own out of card stock or heavy weight craft paper and decorate with old sheet music! It is so simple and beautiful. Add some buttons, rhinestones, or bows to finish it off! This tag is super simple. Once again, start with a pre-bought or make a tag template. 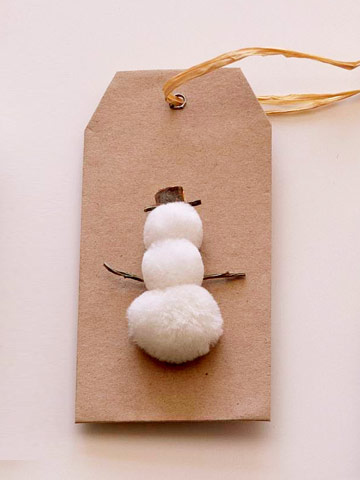 Add some cotton balls and a couple of tiny sticks to make a snowman. Top him off with a sharpie and you are set! 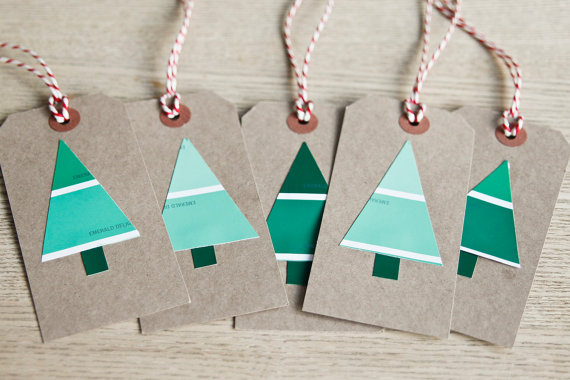 Who knew that paint samples can be so festive!? 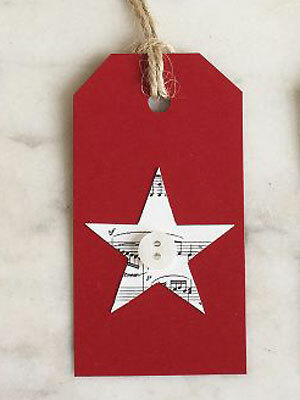 Check out these great ideas for making tags out of paint samples! Very simple and adorable! Fabric tags could quite possibly be some of my favorite gift tags. Just take your tag template and glue some fabric of your choice on. 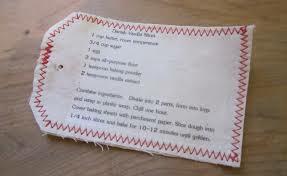 Add a piece of card stock in the center to write names on, or just marker the names right on the fabric. I LOVE this one! 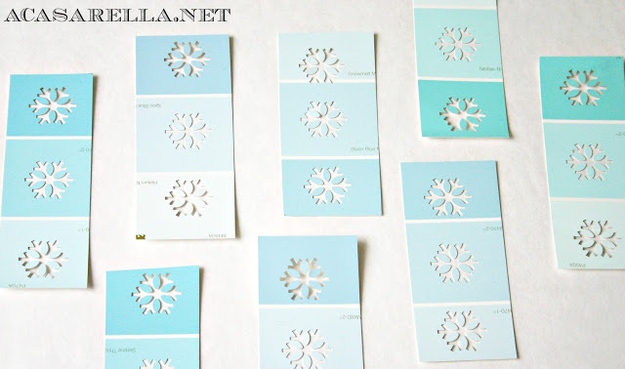 Cut out your tag from paper or newpaper. 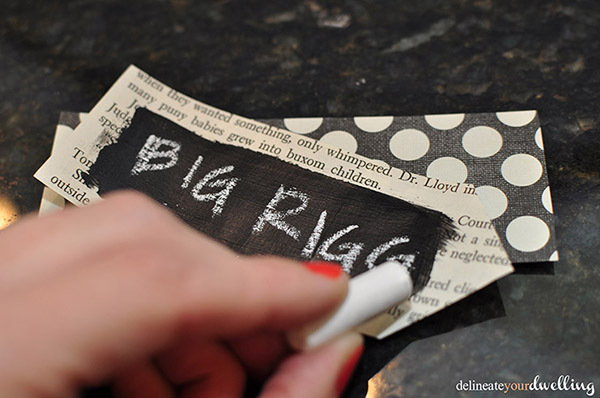 Paint a swatch of chalkboard paint onto the center of tag and let dry. Write their name in chalk to complete the tag! Try it using different chalk paint colors and different backgrounds. Who doesn't like Scrabble? Take those pesky letters and create a tag that is truly a one and only. 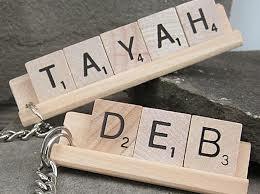 You can glue the letters to your tag, or even make them into a key chain for use all year long! 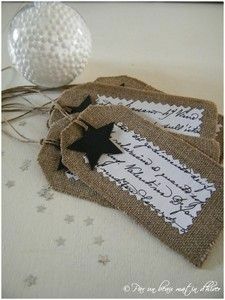 Use a recipe card for your name tags this year! 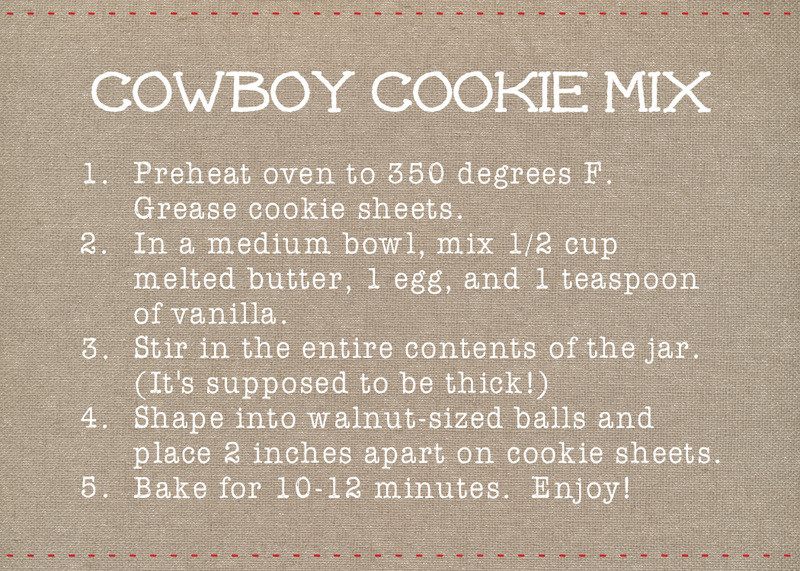 Give that special person a little extra gift with a recipe printed or handwritten on the back of the tag. This is something that is sure to please! The ideas and possibilities are endless! And part of the fun is that there is no wrong way to do these! 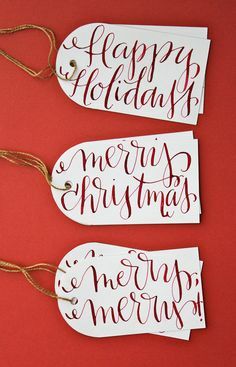 So....get creative and have fun while tagging all of those precious gifts this year. Don't forget to check out those looks of approval and awe when they see that special touch on their present! Remember, Renegade has gifts for everyone on your list! If you can't stop in, shop online with us at www.RenegadeStores.com anytime day or night. Happy wrapping and tagging and to all a good night! In our search to find you the best products at the best value, we ran across Ferrini Boots. After looking at these great boots, of course we jumped on board. Now, the brand is not as commonly known as some of our other brands, so I wanted to give you some information on these awesome boots! “The Ferrini Italia brand originates from generations of commerce in exotic skins and premium leathers , procuring quality natural leathers from locations such as Africa, Indonesia, Argentina, Asia, Australia and Louisiana and shipping to the finest boot and shoe craftsmen in the world. Today, the fourth generation of the family takes advantage of this expertise, combining original designs and styling from their Italian shoes with centuries old connections to North American boot making traditions to produce a specialty line of exclusive leather products with careful attention to detail and finish. “Ferrini’s worldwide access of leathers and full control of the process from procurement through tanning creates the unique opportunity to make a perfect choice of premium material for each unique style of handcrafted boot or shoe. The result is better quality which means better fit and ultimate comfort. Combine this quality with ever-evolving unique and exotic styles and you have a classic choice for every purpose and occasion and for every budget. Genuine Exotics: Styles available in Caiman Crocodile, Lizard, Ostrich, Alligator, Kangaroo and Python. Exotic Prints: Quality leather boots with lasting exotic imprints originating from precision plates developed by Italian craftsmen. Available in Caiman, Anteater, Alligator, Stingray, Sea Turtle, Python, Snake, Elephant and Ostrich. A million dollar look with a leather boot price point! We offer all those ladies out there some great styles to choose from. So, jump on the Ferrinibandwagon, we guarantee that you won’t regret it! Shop with us in store or online 24/7!